Now that we know the secret to creating gorgeous, branded social media images is to use templates, let me show you how to install and use Lightroom templates, namely the free Pinterest template for Lightroom that I shared with you last week. 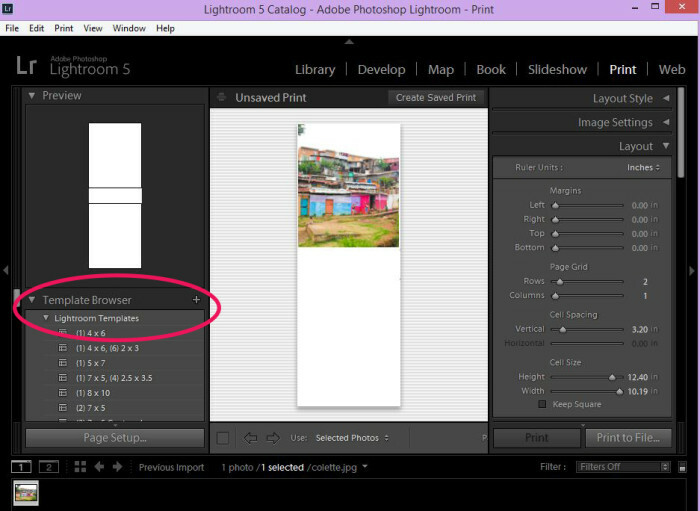 This Lightroom tutorial will work for any print template you’d like to use with Adobe Lightroom. Grab the free Pinterest long pins with text template here if you don’t have it yet. Save the file to your hard drive. 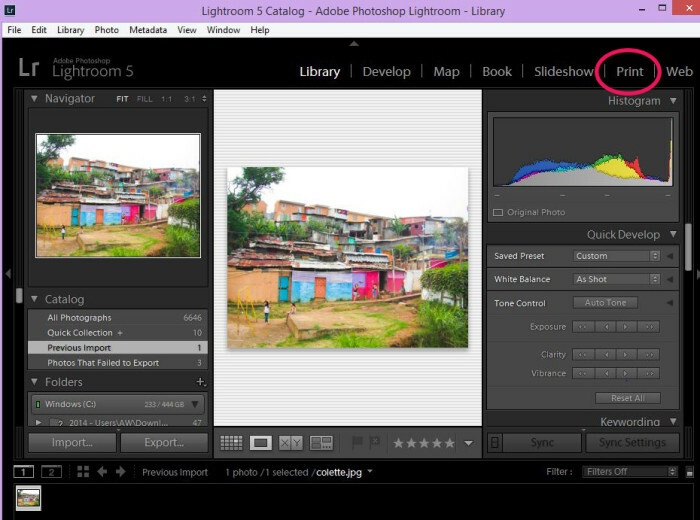 Open Lightroom. Click “Print” module. In the left column you should see “template browser” and within that, “Lightroom Templates.” Right click on “Lightroom Templates” to create a new folder. Name it “Social Media Images. Right click on the folder you just made and choose “import”. 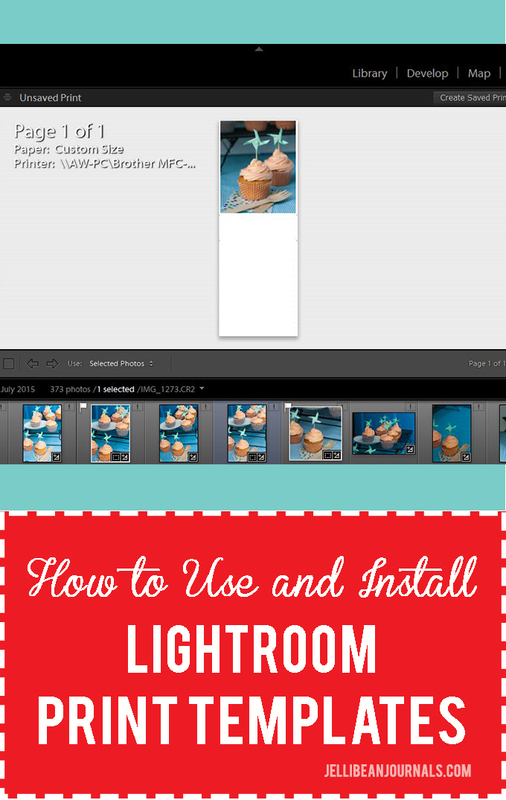 Browse to the free Lightroom Pinterest template file and install it. You should now find it in the “Social Media Images” folder in your template browser. 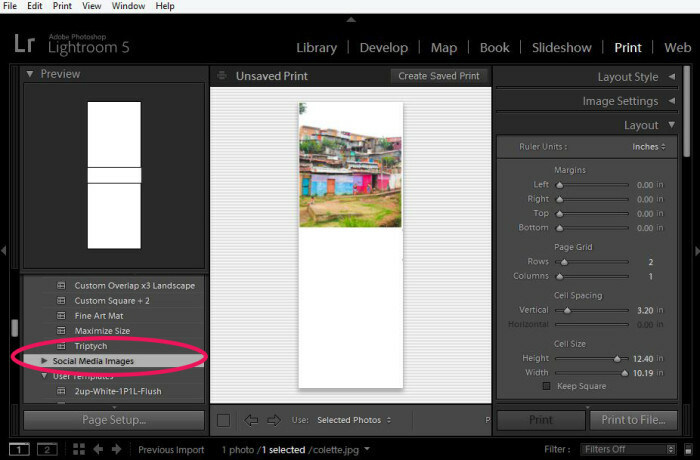 Edit your photos and then click over to the “print” module. Select your new Pinterest template and drag and drop the photos right into it. You should be able to see a slideshow of photos beneath your template. Click on a photo to select it if you want to change photos. Add a text description to you pin by scrolling in the right sidebar to “page.” Make sure the “identity plate” checkbox is checked, and then click on the little box within your pin image where you see text. Default says “Lightroom.” Click the box, change the text and add colors and fonts that coordinate with your website branding. If you’d like to have more options for designing the text box and adding border colors, I’ll be sharing a Pinterest template for Photoshop next week. Another option is to use one of these free image editors online. 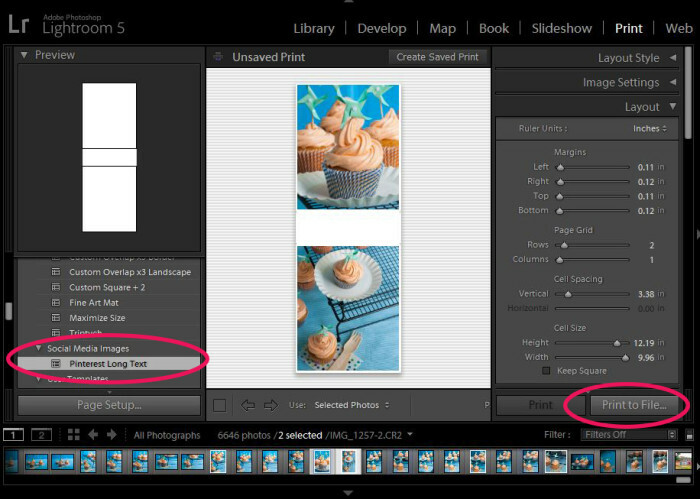 To save your new Pinterest image go to “print to file” at the bottom of the right hand sidebar. Select a file location and save that pretty pin you just created. Add it to your posts or hide it within the post so that it only appears when readers “pin” your content. Learn how to hide images within posts here. If you need troubleshooting advice with installing or using my Pinterest long pins with text template, read here. If you enjoyed this article, please share it with blogger friends and follow me on Pinterest! you are sooooo techy!! I love it! thank you for sharing this detailed HOW To!! I’m looking into this. What a great idea! Thanks. How cool. I wish Iwould have had this tutorial when I was planning my daughters birthday party. Templates make things so much simpler! Love ’em. Hope you find a good use for the tutorial soon, Gina. Great advice! Didn’t know about this! Totally using this in the future! So glad it’s been helpful for you, Danielle. Hope you can put the template to good use, Brenda! Thank you so much for this template and tutorial. I was able to add my images, I am just struggling to get the text to work. I have checked the Identity Plate box and updated the text in the box. However, I cannot get the text to appear in the image or update the color. Any ideas? Sorry you’re having trouble, Katrina. Be sure that the text is not the same color as the background, as you wouldn’t be able to see it. Second, check that the layer is turned on. Lastly, double check that there is not another layer or large image overlapping or covering this text layer. If so, just drag the text layer in the layers panel up toward the top. Hope this helps!